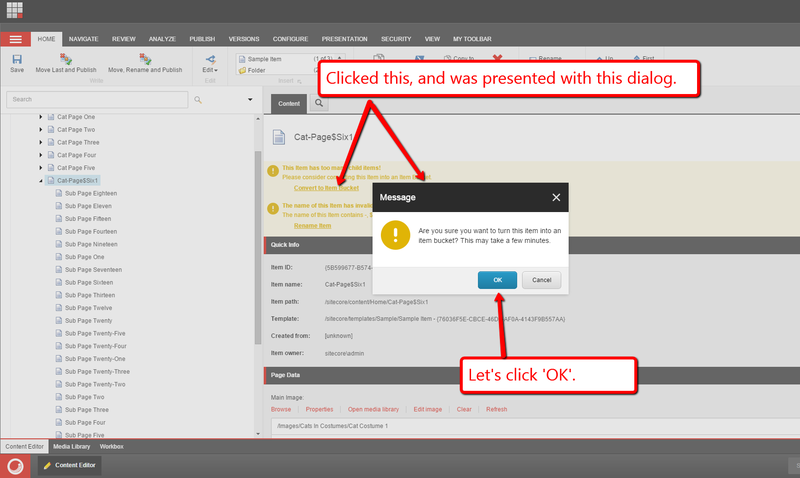 This post is a continuation of a series of posts I’m putting together around using design patterns in Sitecore implementations, and will show a “proof of concept” around using the Strategy pattern — a pattern where a family of “algorithms” (for simplicity you can think of these as classes that implement the same interface) which should be interchangeable when used by client code, and such holds true even when each do something completely different than others within the same family. The Strategy pattern can serve as an alternative to the Template method pattern — a pattern where classes have an abstract base class that defines most of an “algorithm” for how classes that inherit from it work but provides method stubs (abstract methods) and method hooks (virtual methods) for subclasses to implement or override — and will prove this in this post by providing an alternative solution to the one I had shown in my previous post on the Template method pattern. Warnings will have a title, an error message for display, and a list of Sheer UI command links — the CommandLink class is defined further down in this post — to be displayed and invoked when clicked. You might be asking why I am defining this when I can just use what’s available in the Sitecore API? 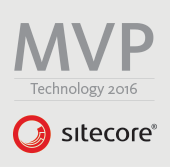 Well, I want to inject these values via the Sitecore Configuration Factory, and hopefully this will become clear once you have a look at the Sitecore configuration file further down in this post. The HasContent() method just returns “true” if the instance has any content to display though this does not include CommandLinks — what’s the point in displaying these if there is no warning content to be displayed with them? The Clone() method makes a new instance of the Warning class, and copies values into it — this is useful when defining tokens in strings that must be expanded before being displayed. If we expand them on the instance that is injected via the Sitecore Configuration Factory, the changed strings will persistent in memory until the application pool is recycled for the Sitecore instance. 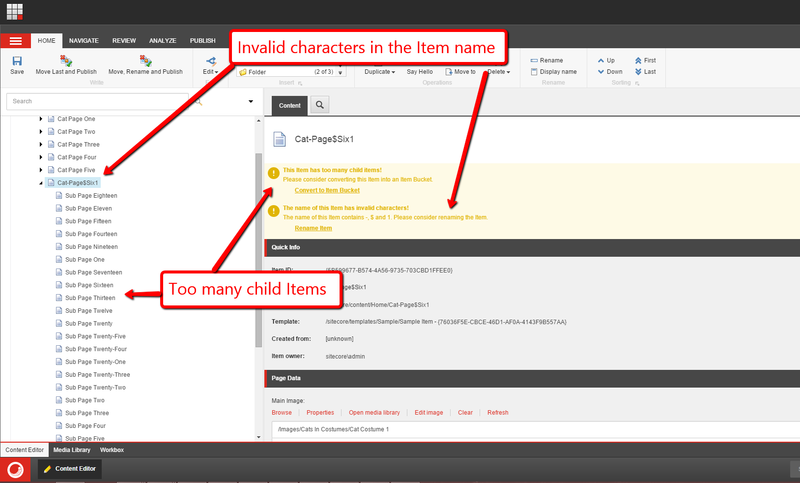 The “maximum number of child items allowed” value — this is stored in the MaxNumberOfChildItems integer property of the class — is passed to the class instance via the Sitecore Configuration Factory (you’ll see this defined in the Sitecore configuration file further down in this post). The IWarning instance that is injected into the instance of this class will give content authors/editors the ability to convert the Item into an Item Bucket when it has too many child Items. 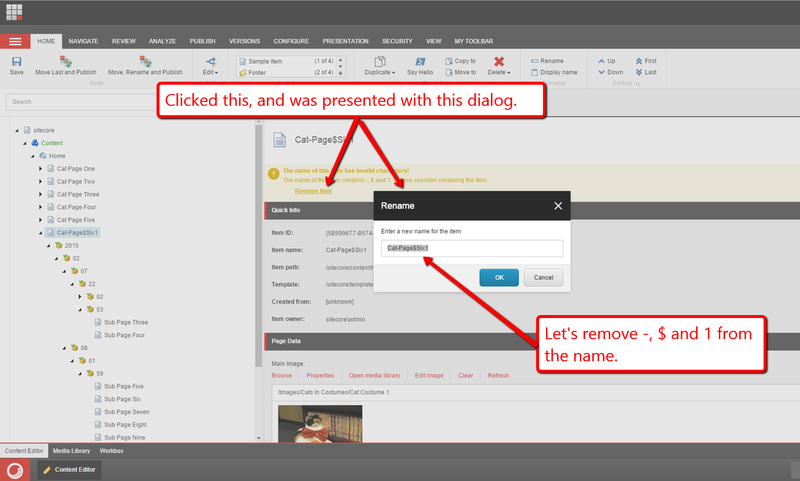 The above class will return an IWarning instance when an Item has invalid characters in its name — these invalid characters are defined in Sitecore configuration. 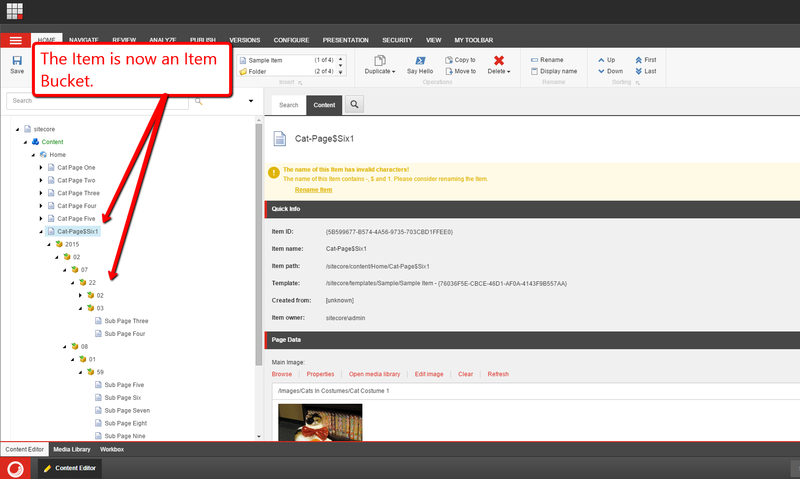 The Generate() method iterates over all invalid characters passed from Sitecore configuration and determines if they exist in the Item name. If they do, they are added to a HashSet<string> instance — I’m using a HashSet<string> to ensure the same character isn’t added more than once to the collection — which is used for constructing the warning message to be displayed to the content author/editor. Once the Generate() method has iterated through all invalid characters, a string is built using the HashSet<string> instance, and is put in place wherever the $invalidCharacters token is defined in the Message property of the IWarning instance. Instances of the class above take in an instance of IWarningsGenerator via its Generator property — in a sense, we are “lock and loading” WarningsGeneratorContext instances to get them ready. Instances then pass a supplied Item instance to the IWarningsGenerator instance, and invoke its GetWarnings() method. This method returns a collection of IWarning instances. In a way, the IWarningsGeneratorContext instances are really adapters for IWarningsGenerator instances — IWarningsGeneratorContext instances provide a bridge for client code to use IWarningsGenerator instances via its own little API. The Process() method is the main entry into the pipeline processor. 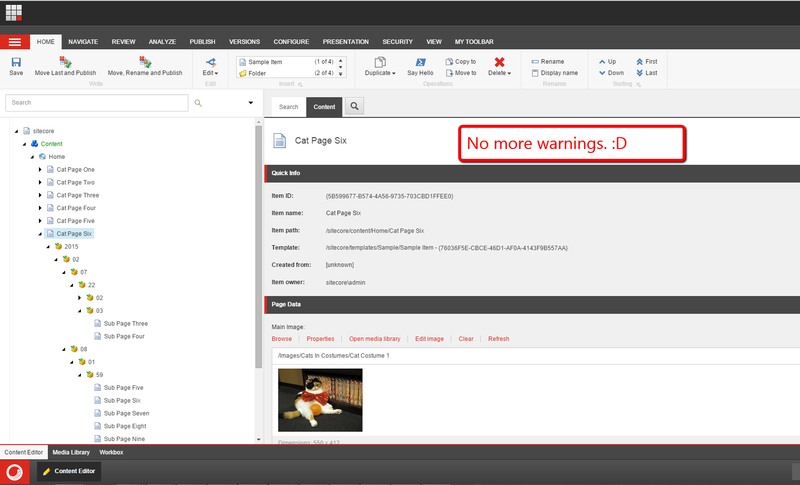 The method delegates to the GetWarnings() method to get a collection of IWarning instances from all IWarningGenerator instances that were injected into the class instance via the Sitecore Configuration Factory. The GetWarnings() method iterates over all IWarningsGenerator instances, and passes each to the other GetWarnings() method overload which basically sets the IWarningGenerator on the IWarningsGeneratorContext instance, and invokes its GetWarnings() method with the supplied Item instance. Once all IWarning instances have been collected, the Process() method iterates over the IWarning collection, and adds them to the GetContentEditorWarningsArgs instance via the AddWarning() method. 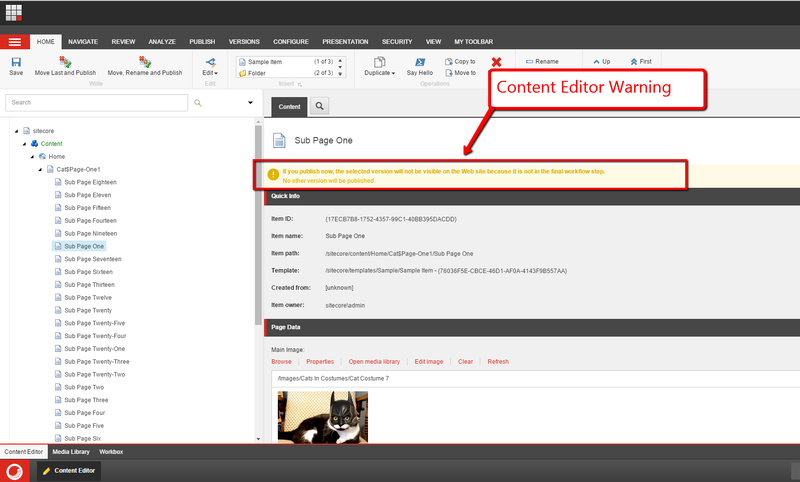 As you can see, both warnings appear on the Item in the content editor. Yes, there is more code here, and definitely more moving parts to the Strategy pattern over the Template method pattern. So, what’s the benefit here? Well, in the Template method pattern, subclasses are tightly coupled to their abstract base class. A change to the parent class could potentially break code in the subclasses, and this will require code in all subclasses to be changed. This could be quite a task if subclasses are defined in multiple projects that don’t reside in the same solution as the parent class. The Strategy pattern forces loose coupling among all instances within the pattern thus reducing the likelihood that changes in one class will adversely affect others. However, with that said, it does add complexity by introducing more code, so you should consider the pros and cons of using the Strategy pattern over the Template method pattern, or perhaps even decide if you should use a pattern to begin with. Remember, the KISS principle should be followed wherever/whenever possible when designing and developing software. If you have any thoughts on this, please drop a comment. By Mike Reynolds in Adapter pattern, Configuration, Configuration Factory, Content Editor, Content Editor Warning, Customization, Design Patterns, Item Buckets, Items, Pipeline, Processors, Sitecore, Sitecore Client, Strategy pattern on 03/02/2015 .